As opposed to "Ciel gris I", in this work the sky is not bluish-gray but lead-gray, like in a thunderstorm. 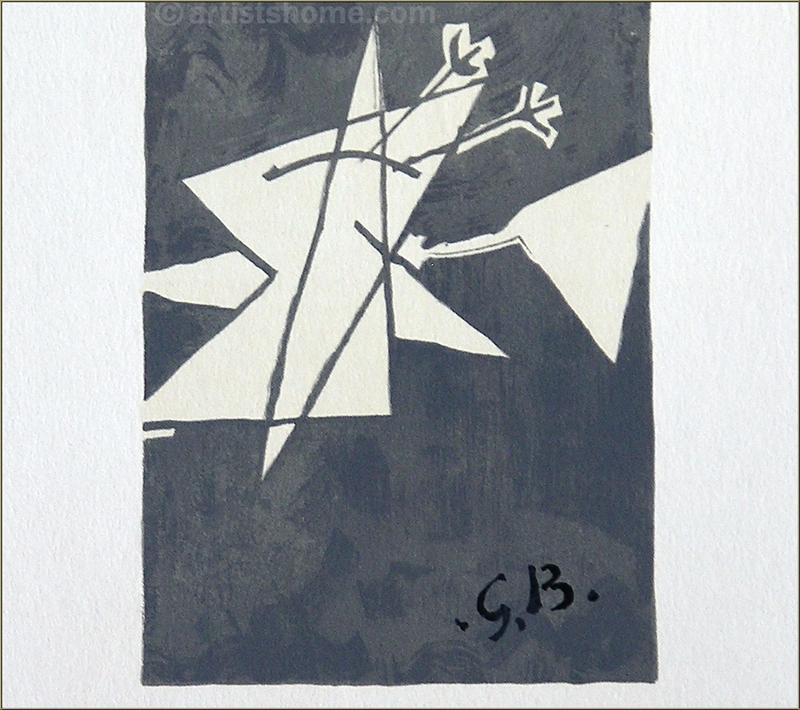 However, we assume that Braque wanted to convey more than ordinary forces of nature in this graphic. We can make out the three letters BIO, spread out over the work like design elements. "BIO" for the French word "biologique" or "la biologie" - does he want to warn us about something? At the latest by now, our gaze comes to rest on the bird lying on its back at the bottom of the painting. We can only guess Braque’s intention behind this motive. No doubt, something has gone wrong. Typically for Braque, it remains unclear whether this was caused by humans or by a natural disaster. 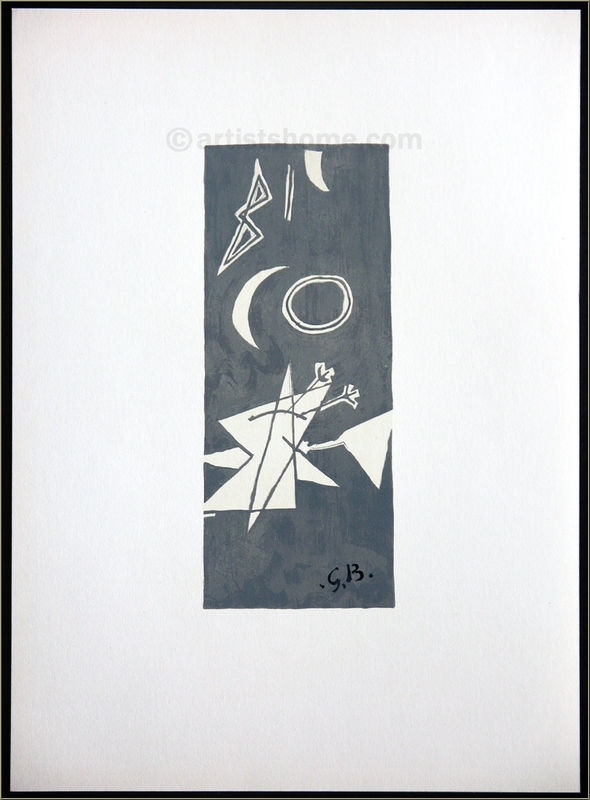 Size / Paper: 38 x 28 cm / 15" x 11" (sheet) - 22,5 x 9,5 cm / 8.9" x 3.7" (image), printed on velin paper with text on the reverse, as published in 1959 in DLM "Braque"
An excellent find and price tag, Ciel gris II a sequence to Ciel gris I, excellent impression and condition, signed in the plate. 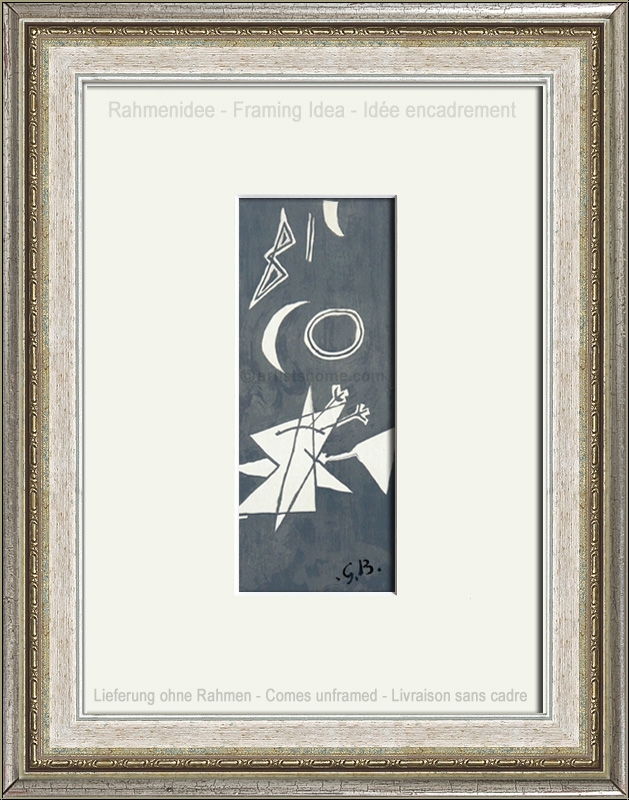 A must for any Braque collector.